When a community like Holladay loses one of its members, it is often felt by all of its members. When that person is the person who has chosen to wake up each morning and make the decision to protect and serve the community, it is felt even deeper by the community. The City Journals team sends our sincerest condolences to the family, friends, community and UPD who have suffered the tragic loss of Officer Doug Barney. Our thoughts and prayers are with you all during this difficult time. some rules apply. Call for details. (Minimum of 100) Must present coupon. Expires 2/29/16. Must present coupon. Expires 2/29/16. Cullimore said in response. “We agree. We are not satisfied. We are concerned,” Councilmember Mike Peterson said in response to all the resident comments. TerraCare representatives addressed the concerned residents after the comment session. “There are some changes we can make. Our staff does work diligently 24 hours a day. When we plow, there are some roads that are snow packed. To remove the ice that’s there, (red salt) has to work, to get loose. It’s not just a two hour turn around,” Justin Stewart, TerraCare representative, explained. “Priority one networks take about an hour to get through the network. The drivers typically load up material one to two times a shift which includes a 30-minute turn around,” Steve Bertasso, TerraCare representative, explained. Over an hour of public comments left just as much time for discussion from the council during the work session meeting held directly after the public comment session. “We need to get more aggressive on parking,” City Manager John Park said. “There’s things we need to do to help them get through the city faster.” Cullimore had hoped that the hotline set up for snowplowing issues would have been more effective. “There’s no hot to hotline, if you’re getting to it five hours late. The minute people think all they have got to do is call their mayor or city councilmen and things happen, that’s all they’re going to do. When you call this hotline, to register your concern, please don’t think they’ll automatically respond to that,” he said. The concluding statement for this section of the meeting came from Mayor Cullimore. “Our job as a city council is to make sure we are meeting the needs of our residents in fiscally constrained ways,” he said. Valentine’s Day! Jonathan’s Jewelry 6910 S. Highland Dr.
ver the past few months, city planners have been Category 1: Cycle Tracks working with residents to comAt-Grade Protected with Parking / Protected with prise a master plan for bike and Barrier / Raised Curb Separated trail improvements within the city. On Dec. 15, a review draft of the plan was presented to the city council during a work session meeting. The plan was presented by Mike Johnson, the city planner. The purpose of the plan is to “propose strategies to create a cohesive and functional network of trails and bicycle lanes throughout the city, in addition to increasing recreational opportunities, promoting safe travel for multiple modes of transportation and enhancing human-scale activity throughout Cottonwood Heights.” Bike Lanes. – Mike Johnson The plan would ultimately like to have a “more balanced pattern of transportation develThe plan consists of a classification sysopment in the city.” tem for bicycle and train infrastructure to idenThe goals of this plan include: promote tify existing conditions and future needs. healthy lifestyles through bicycle and pedesA Category 1 Bike Lane: It provides space trian travel options; make bicycle and pedesexclusively for bicycles by combining the user trian travel a viable option within the city, experience of a separated path with on-street and between Cottonwood Heights and its surinfrastructure of bike lanes. Specialized mainrounding communities; promote Cottonwood tenance equipment may be required. Heights as an outdoor recreation destination; A Category 2 Bike Lane: Separated Bike and focus on bicycle lanes and trails as cataLane is a “Buffered Lane” that provides horilysts for economic development. zontal separation from cars and pedestrians. It Some objectives within the plan include: uses signage and striping to allocate roadway gain recognition as a bicycle-friendly commuspace to bicyclists. Examples of these bike nity through organizations such as UDOT’s lanes are on Wasatch Boulevard and 2300 East. Road Respect program and the League of A Category 3 Bike Lane: Shared RoadAmerica Bicyclists; create a complete bicycle ways are “Signed Shared Roadway / Marked lane network to ensure that all bicycle lanes are Shared Roadway / Shoulder Bikeway.” On this connected, and to ensure that safe, effective bitype of bikeway, bicyclists and cars operate cycle travel is feasible throughout the city; and within the same travel lane. Examples of these enhance existing regional partnerships with lanes are seen on Kings Hill Drive and ProsSalt Lake County, the state of Utah and surpector Drive. rounding municipalities. Buying or selling a home? LET ME HELP YOU! With hundreds of realtors advertising, it’s hard to know who to work with. Why not choose an agent with a proven track record who enjoys helping you? I believe that selling Real Estate is not just selling properties, it’s treating people with honesty, loyalty and excellent service. Brittany Dimmick’s coding club practices coding skills before school. Your loved one will never leave our care and you will receive the highest levels of service. Students at St. Vincent de Paul School participate in the Hour of Code challenge. ing something entirely new like coding is also a great way to level the playing field for my students. Students that struggle in other academic areas may be fabulous at coding,” Katherine Ricks, a third-grade teacher at Howard R. Driggs Elementary, said. This is the second year Ricks participated in the Hour of Code initiative, and she’s been thrilled with the results in her classroom, so much so that she has extended the program and made it a key component to her teaching. She believes computer science and coding develops essential problem-solving skills, which in turn creates successful adults. “A lot of what we do in school is explaining to students how to do something and then having them repeat it. This does not teach them to break down a problem themselves and persevere until they succeed. Improving these skills makes students better students in all subjects…whether they are interested in sports, fashion, art, medicine etc. Learning to code is one way to work in those fields,” Ricks said. Katherine Ricks teaches her students how to use Chromebooks. Brighton High School student body officers kickoff their fundraiser with an assembly on Nov. 2. Tyce Campbell and Devin Stuart attend the student vs. faculty fundraiser basketball game on Nov. 20. Limit 1 per customer. Tax not included. Expires 2/29/16. 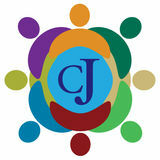 Hypnosis has been proven to reduce or eliminate chronic pain... Give yourself the gift of a pain free life TODaY! Facilitating Individuals From Where They Are, To Where they Want to Be. Brighton High FCCLA students and community members sew hygiene kits for the Days for Girls organization. Fast and For Top Dollar.” To hear a brief recorded message about how you can order your copy of this FREE Special Report, call 1-800-516-8922 and enter ID# 2000, You can call anytime, 24 hours a day, 7 days a week, or you can visit the website www. MySellingMistakes.com to request your FREE copy. Get your free special report NOW to find out how you can get the most money for your home. Finished drawstring bags were sent around the world to be used as hygiene kits, helping girls in developing nations attend school. Skyline players look on as their teammates compete in a scrimmage game at practice. The Eagles are working on improving their defense. air and clean water; they participate in and have access to recreation, arts and culture; and have transportation choices that are safe, efficient and meet their needs for commuting, school and recreation. Expanded Opportunities – county residents have access to good-paying jobs in the private sector; children arrive at kindergarten ready to learn; youth graduate from high school; and businesses have the resources they need to expand into and compete in global markets. Healthy People – county residents are safe, have a place to call home and are healthy. Some of the indicators we will track include the crime rate; the number of homeless individuals and children in the county; the number of children who lack health insurance; and the percentage of teens who are physically active. Dental Implants as low as $1,999! rapidly to where they are needed. New hair ideas for Spring Kami Hair is a proud member of Haute Coiffure Francaise and the only member in Utah. Haute Coiffure Francaise is an elite international organization 62 years established and comprised of only 1,500 members in 43 countries. Kami Hair attended the Haute Coiffure Francaise HCF, MCB hair show in Paris, France where they learned the latest fashions from around the world. The Bengals huddle before breaking to prepare for their game against Taylorsville, a game they dominated 79-27.
ou can smell the chlorine from outside the Olympus High School aquatic center. As you walk closer, you begin to hear the faint sound of upbeat music and a deep voice yelling repetitively. The second you step foot onto the bright, open pool deck, the energy and intensity swarms you. For you, this might seem abnormally electrifying. For the 60 swimmers that make up the OHS swim team, this is just another day at practice. “This has been an awesome season,” senior captain Adam Gaia said. “This is the best year we’ve had in a while in terms of turnout, and we’ve got some really fast people. The last few years we’ve been building up our team, but this year we have a solid, competitive team, and we’ve been winning our meets.” With about 10 seniors on this year’s team, the Titans aren’t lacking much in the way of leadership. “For the most part, our team chemistry has been great,” Gaia said. “We’ve had a few little disputes, but other than that it’s been really good.” Girl’s senior captain Emma Collins agreed. “Overall, this is the most tightknit I think we’ve ever been,” she said. “We’ve had a lot of bonding activities like a Thanksgiving dinner and a Christmas party. And every Saturday parents bring in brunch, and we all eat together after practice.” The team attributes much of this season’s success to their strong unity and support for one another. “We really crushed our first few meets at the beginning of the season,” Collins said. “We had a great meet against East, but we swam faster and I think that’s because we are all pretty close.” With practice being held two to four hours per day every Monday through Friday, and a twohour practice every Saturday, the group has put in well over 100 hours of pool time. “This has been a really cool experience for me,” freshman Ari Lambosa said. “This is definitely an awesome team, and it’s really helped me a lot as a swimmer.” The Titans are one of the only teams in the valley who practices with USRPT training. USRPT, or Ultra Sprint Race Paced Training, is designed for the athletes to practice similar to the pace in which they race. Though it’s hard work, most of the swimmers are dedicated to putting in the time and effort necessary to help the team succeed. “Essentially is just short race-paced training,” Gaia said. “The idea behind it is that high intensity training for short periods of time is better than long distance garbage yardage.” Like any team, however, the Titans have faced their fair share of challenges this season. “I think our biggest issue on the team is the lack of attendance and people’s lack of motivation to come to practice,” Collins said. “We’ve had quite a few kids who only show up once or twice a week and other kids who just stopped showing up half way through the season.” Gaia elaborated. “This is definitely a challenge we’ve been facing as a whole team,” Gaia said. “Sixty people say they’re on the team, but in actuality there’s probably only about 45 to 50 kids who show up regularly.” Despite attendance issues, most of the Titans swimmers agreed that this has been a stellar season. “I think a lot of our success this year is because of Coach Tom,” Collins said. “And also our community. It’s a great school program to be swimming for and a great community to be swimming in.” The Titans swam their last meet against Skyline High School on Jan. 19 with hopes of making it to the 4A state championships Swimmers cool down after a two-and-a-half-hour practice. Weekday practices on Feb. 12. l last anywhere from two to four hours. It does no good to have a terrific estate plan if, at the end of the day, nothing is left for the surviving spouse! Savvy seniors need more than just a will or a living trust. The Wall Street Journal reports that 86% of widows live in poverty after their life savings are spent for care of their spouse. You need to know what you can do today to protect yourself and your surviving spouse in the future. One of the biggest fears that many people have today is having their life savings wiped out if they end up in a nursing home. Don’t Go Broke in a Nursing Home! Learn how to be empowered, not impoverished at a free workshop hosted by VA Accredited Attorney Kent M. Brown of Strong & Hanni Law Firm. IN THIS WORKSHOP YOU WILL LEARN: 1. How to protect your retirement income; 2. What your will, living trust and financial power of attorney may likely be missing that can lead to substantial financial loss; 3. How to protect your assets from catastrophic illness and nursing home costs without purchasing long-term care insurance; 4. How to protect your home and avoid nasty hidden medical taxes; 5. The hidden trigger in your revocable trust that can trap your Kent M. Brown money irrevocably; 6. The truth about trusts and why most advisors are unaware of how to use them for your benefit. If you are approaching retirement, are currently retired, or a homeowner with assets you want to protect, this workshop is for you. SEATING IS LIMITED. Call (801) 323-2079 now to reserve your seat. 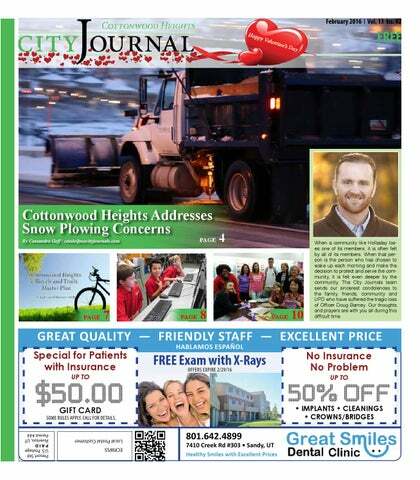 Cottonwood Heights City Journal . Serving Top Shelf Sandwiches, Soups, Burgers and Breakfast. fresh, Healthy & fast follow us on Tues. - Sat. 11 a.m. - 8 p.m. CLOSED Sunday & Monday 801-635-8190 • 6213 So. Highland Dr.
New Dessert Cafe! 4704 S. Holladay BLVD 801-679-3925 Open Late Mon-Thurs 1pm-10pm Fri-Sat 12pm-12am www.AuntieRaesDessertIsland.com . APriortizedMarriage.com. Both have fabulous ideas for date nights and ideas to help you keep the communication in your relationl ship strong. Tea, sandwiches, scones, fruit plate and your choice of dessert. with purchase of two entrees. pEdiCURE Open 7 Days A Week: 10 a.m. - 10 p.m.
We now deliver in Holladay! On-site small business and residential support. Interior and Exterior. Drywall repairs. Wood refinishing. Residential & commercial. wasabi peas and downing a hot fudge baklava shake. Isn’t it time we stopped the food shaming and made some reasonable choices? Let’s agree to meet somewhere in the middle where we eat more fruits and vegetables (but not eggplant), cut back on sugary snacks (except Butterfinger bars), make meat a side dish (no more 16-ounce prime rib dinners) and enjoy an occasional splurge (movie theater popcorn!) to keep us pleasant and easier to live with—on both sides. And those Founding Fathers can go back to worrying about whether we can eat buffalo l chicken wings while carrying a firearm. Free Estimates! No job too small. 10 Day Celebrity Transformation Lose 5-20 lbs in 10 Days! 60 day Money Back Gauranteed! We design, build, install & guarantee our energy efficient windows. Plumbing for less! Drain & Water Specialist! $99 Any Drain!